Boating is a fun activity, and Florida is fortunate to have so many opportunities to hit the waves. Like anything else, however, boating sees its fair share of accidents. Anyone who has been involved in a boating accident knows these accidents can be just as devastating as a motor vehicle collision. In many cases, the victims must deal with personal injuries, emotional trauma, and property damage to a vessel. One of the first steps after a boat accident is determining which party or parties acted negligently. Florida law prohibits boat operators from operating a vessel in a careless or reckless manner. 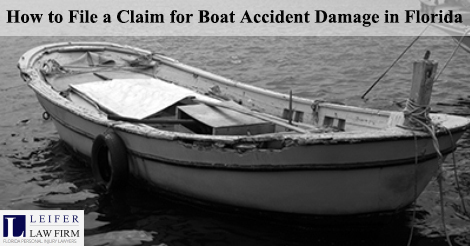 This Case or the Other… In these types of negligent boating cases, the question of liability turns on whether the operator acted the way a “reasonable boater” would have acted in similar circumstances. In other cases, it may be possible to bring a negligence lawsuit against a company operating a vessel, such as a ferry or boat used for sightseeing or cruising. Although boating accident cases share many of the same characteristics as car accidents, there are important differences. For example, the law governing your case may vary depending on where the accident took place. If your boating accident happened close to shore, it is quite likely your case will be governed by Florida law. If the accident occurred farther from the coast, it may be subject to maritime law. If an operator or other individual acted negligently, you may be able to obtain compensation for your injuries and property damage. Because Florida does not require boaters to purchase boating insurance, these cases can be more complex than car accident cases. This is where the help and support of a knowledgeable maritime attorney may be helpful. In some cases, an operator’s homeowner’s insurance may cover damage caused by the accident. In other situations, the operator has a boating insurance policy that covers damages and injuries caused by boating accidents. If you have been hurt in a boat accident in Florida, it is important to speak to an experienced boat accident lawyer right away. You should not have to shoulder the burden of injuries and property loss caused by someone else’s negligence. A professional boat accident attorney will be able to guide you through the process of filing a claim for boat damage, and they will make sure you adhere to the necessary procedures and guidelines.